Children are notorious for being picky eaters and drinkers, but we’ve found a multitude of ways to make it fun from Airfork One to mustache cookie cutters. We’ve also got a wide variety of super gift ideas for children of all ages. Don’t waste your time in those mile-long department store lines for a present that lacks pizazz when you can find all the most unique kid-approved gifts available right here! We’re Having a Sock Sale! Get up to 50% off our wacky collection of feet warmers. Sale ends Dec 20th. Time to throw out the boring band aids. 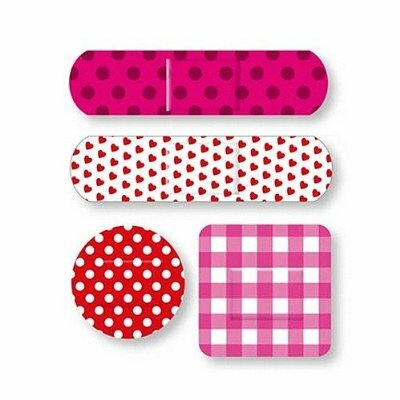 We now have fun, loving bandages that will heal your boo boos! Ouch! 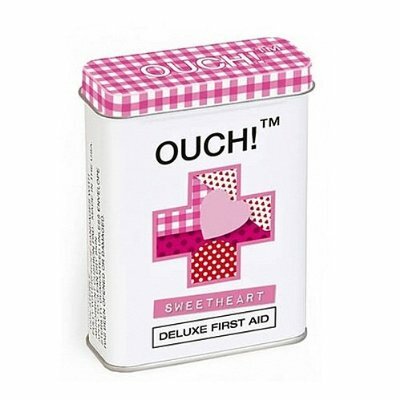 Sweetheart Bandages are sterile adhesive medical strips that protect wounds and speed up the healing process just like the plain, boring bandages! It’s never good when your child gets a boo boo, so we love the Ouch! Sweetheart Band Aids, because it shows them how much we love them. There are few things that can take the pain away faster than a mother’s love. These Band Aids are definitely a hit with the kids…and a few hubbies too. These sweetheart band aids are so sweet! My daughter loves them. I will be ordering more fun band aids. They always make my kids smile. Facebook Twitter Instagram Pinterest © 2019 Funslurp. Join our newsletter for deals and fun!